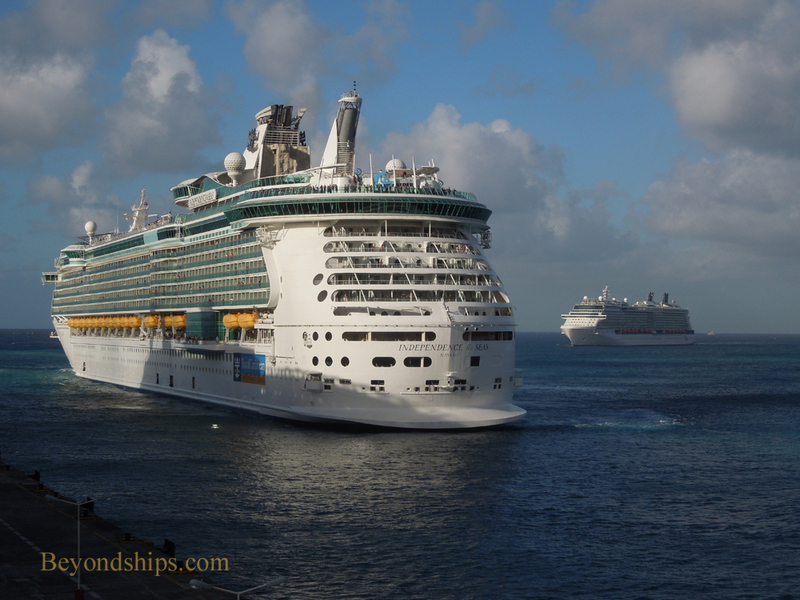 Five ships affilated with Royal Caribbean Cruises Ltd. gather in St. Maarten. 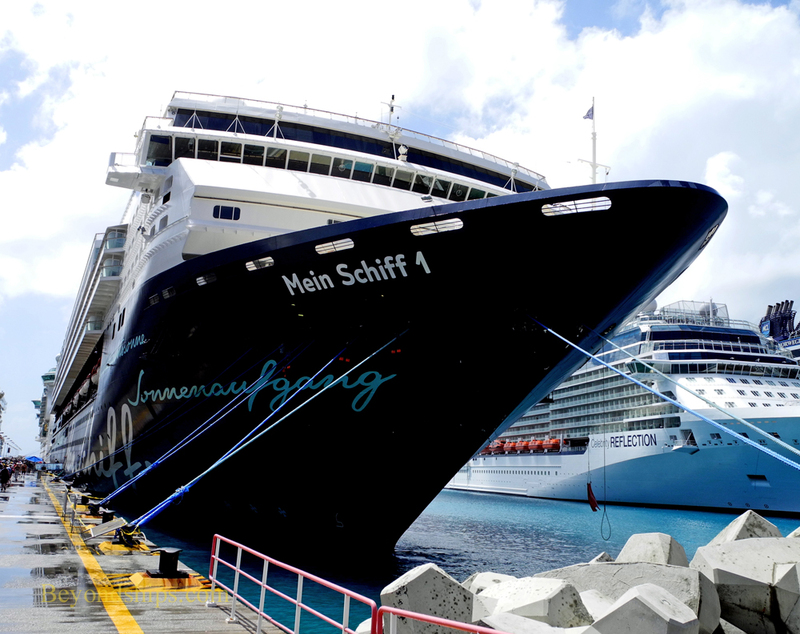 On 19 February 2013, six cruise ships called at St. Maarten in the Caribbean. 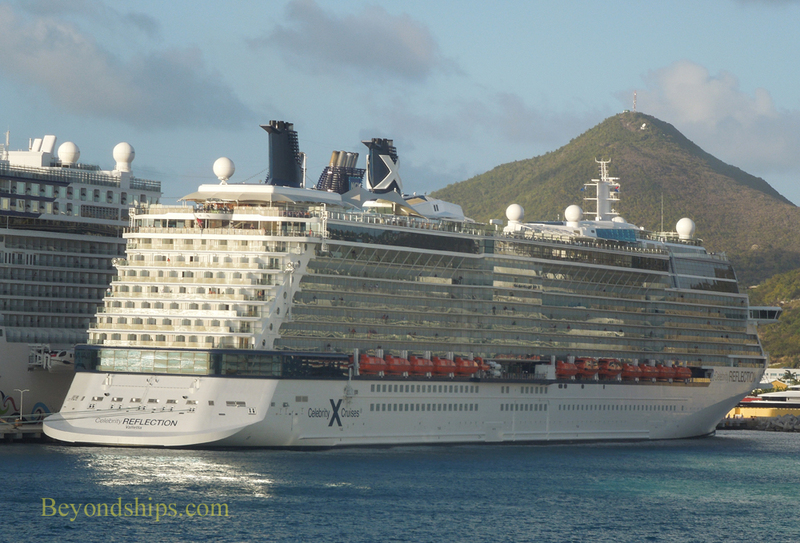 By itself, this was not unusual as St. Maarten often attracts that many ships. 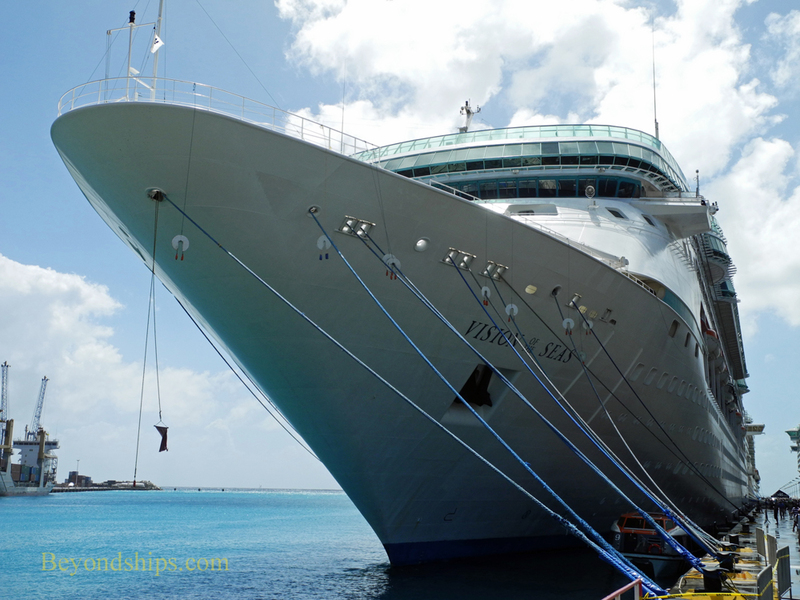 However, what was unusual about it was that five of the six ships were operated by subsidiaries or affiliates of Royal Caribbean Cruises Ltd.
Also in attendance from RCI was the club-like Vision of the Seas. 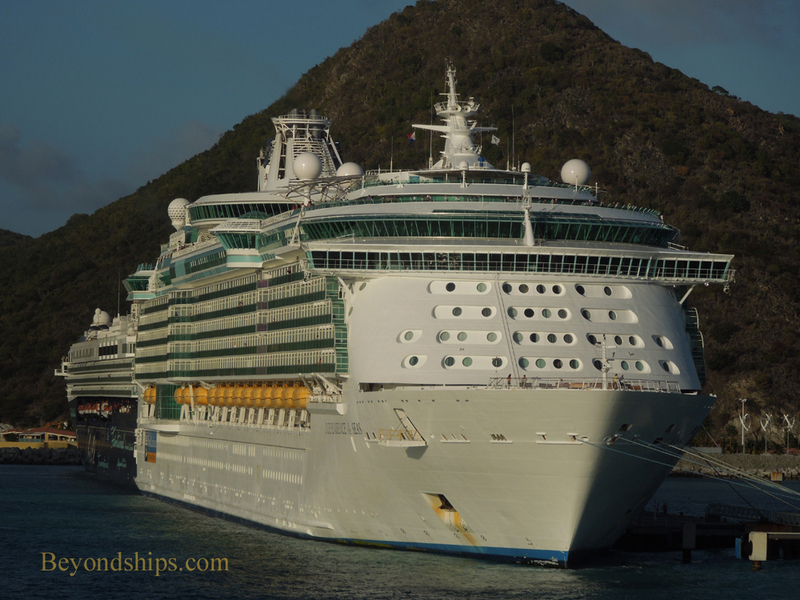 Vision is the name ship in Royal's Vision class. 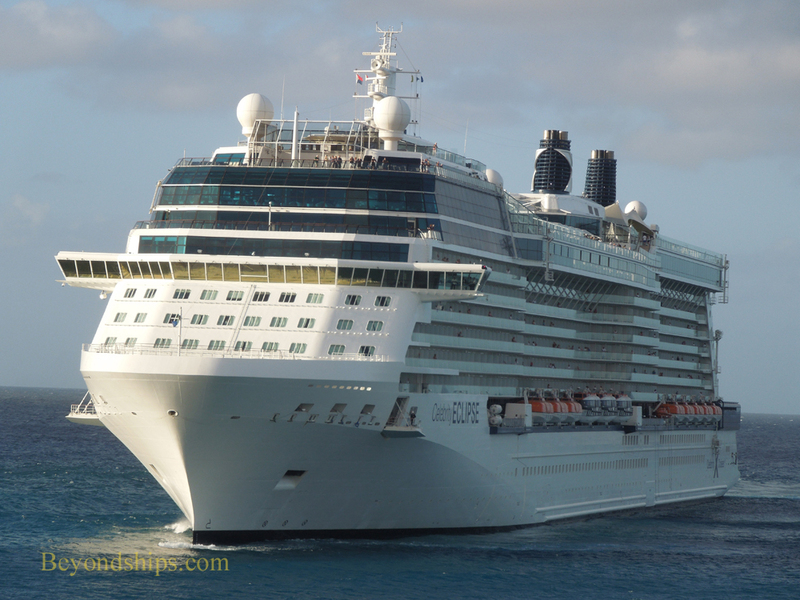 From the Celebrity Cruises side of the family was Celebrity Eclipse, the third ship built in Celebrity's elegant and popular Solstice class. 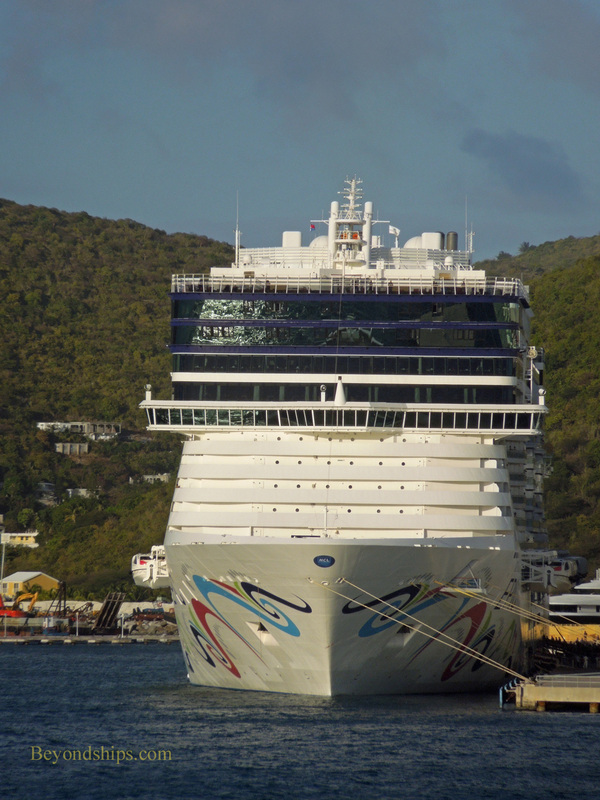 (See video of Eclipse sailing from St. Maarten). 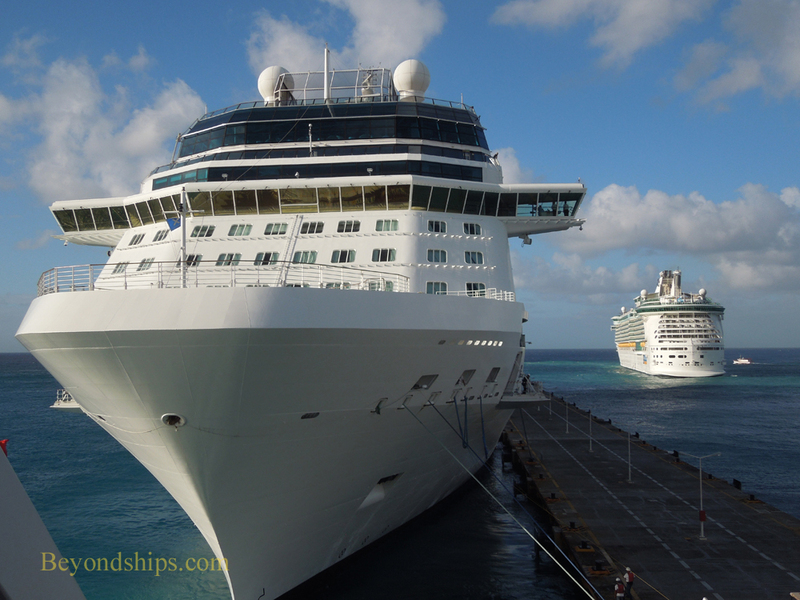 Eclipse's younger sister, Celebrity Reflection came along as well. 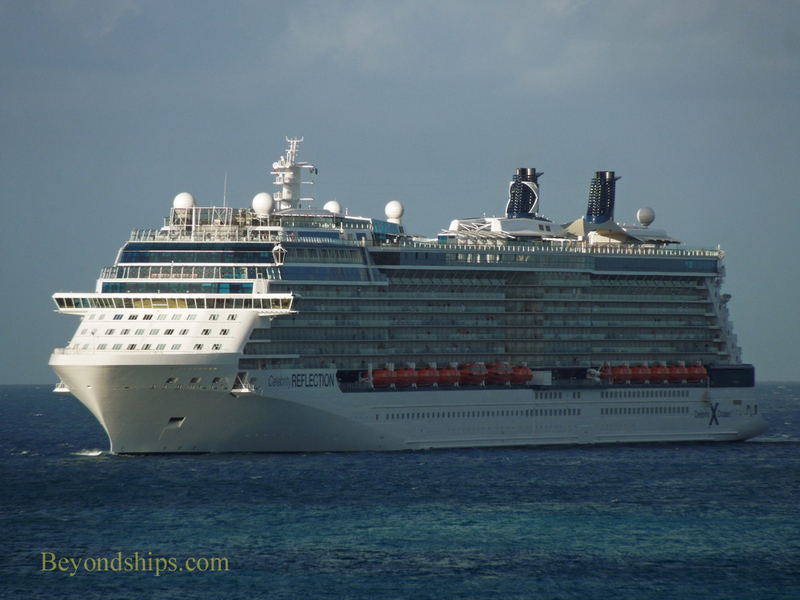 The fifth ship in the Solstice class, Reflection is slightly bigger than Eclipse. 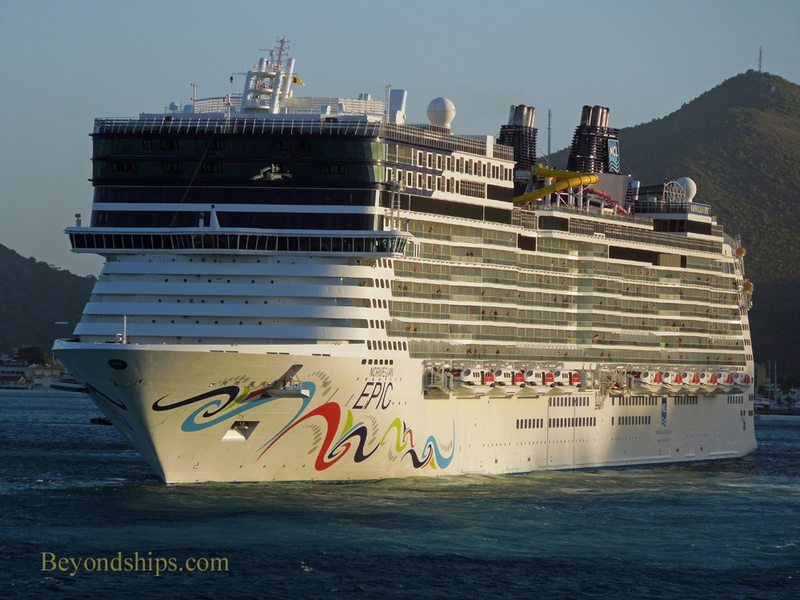 The only cruise ship in attendance not affiliated with RCCL was Norwegian Cruise Line's Norwegian Epic. 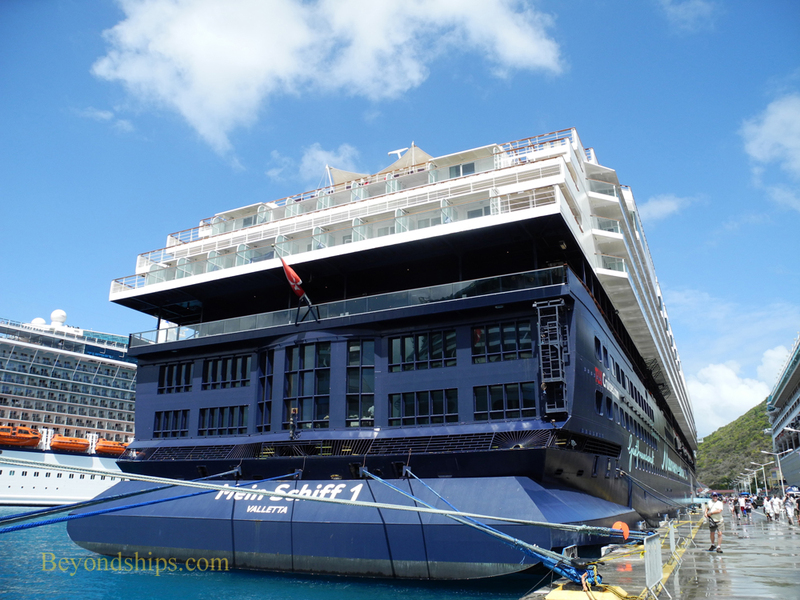 However, inasmuch as Epic was then the world's third largest cruise ship (155,873 grt) and is always fun to be around, she fit right in at the gathering.